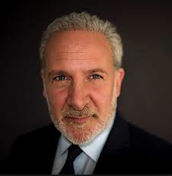 Peter Schiff On The Markets: Early Signs Of A U.S. Recession? Probably the most bearish of the numbers we got was Factory Orders, which fell for the 6th consecutive months. This is rare. The last two times that we had Factory Orders fall 6 months in a row, the U.S. Economy has already in recession. It happened in 2008 and happened in 2001.